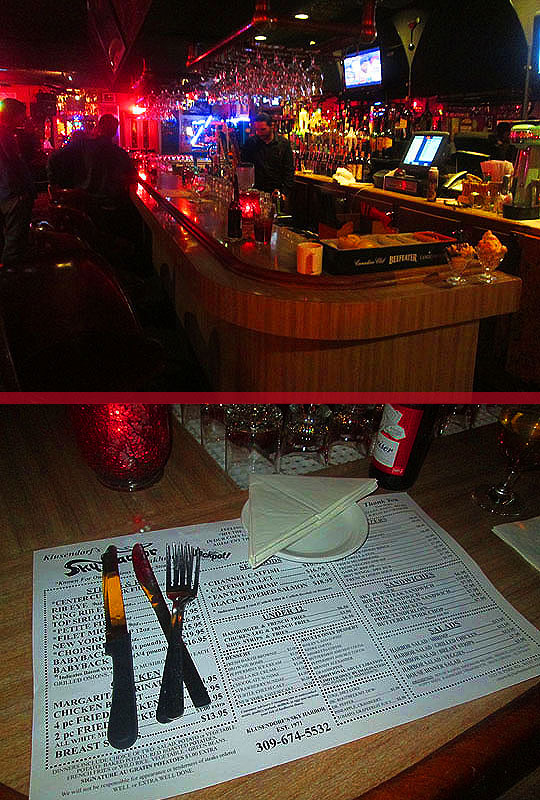 Sky Harbor is known for its steaks, unique vintage atmosphere and live music at the piano bar. A hidden gem at the restaurant is their Wednesday fried chicken special. For $10.95 you get four pieces of fried chicken and two side dishes. I haven’t been out to eat much since my surgery and I decided that since my heart is de-clogged, why not celebrate with a fried chicken dinner? I just won’t tell my doctor! Here we are at Sky Harbor Steak House. The fried chicken Wednesday special is listed at the bottom of their neon sign! Cluck yeah! I walked inside and the lobby is very festive with free presents for the kids under the tree! Very nice! Seated in the blue banquette next to the tree is the owner and host at Sky Harbor, Daryl Klusendorf! Always great to see Daryl and he welcomed me in for this 15th week of chicken! I walked in to the dining room and took a seat at the bar and bartender Miles was quick with a beer and he took my order for the fried chicken special. Here’s a shot from the end of the bar and the classic Budweiser trolley that hangs overhead. The bottom photo is Daryl with his mom Mrs. Klu who’s the hostess and looking very pretty as always! Don and John were seated at the bar. John’s in the military and told me he’s read MBIP all over the world in his travels! That was nice to hear! 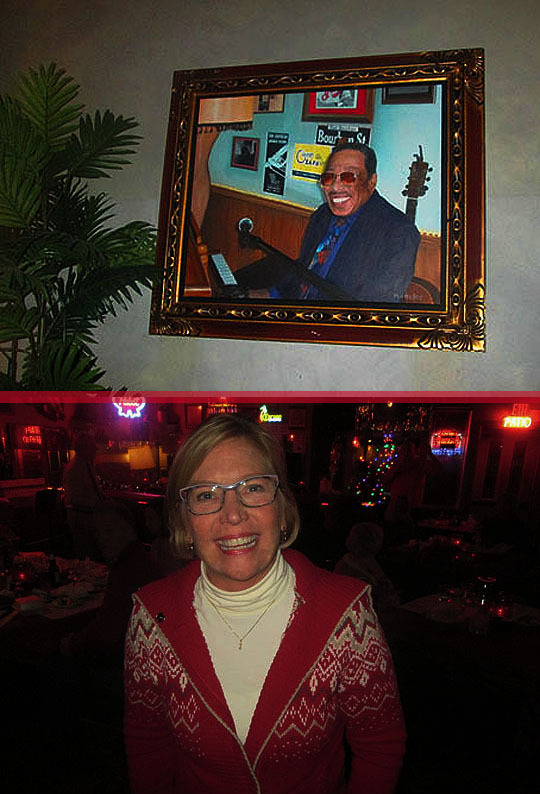 The piano bar was vacant this evening, but nearby, Don George was singing some holiday tunes. He’s a very talented vocalist and I love how Sky Harbor supports the local music scene! The music continued as Daryl busted out his banjo to sing happy birthday to Tammy at this table nearby the bar! Here’s a shot of the dining room and one of the chandeliers hanging below the sparkly ceiling. I didn’t write these ladies names down, but they told me they’re fans of the MBIP blog and that’s always great to hear! I had to get a photo of legendary piano man Jimmy Binkley on the wall and as I traveled around I ran into Amy Vonachen and it was so great to see her! We’ve been friends since high school and it was fun to catch up with her and she’s looking beautiful as always! Meanwhile, back at the bar, it looks like it’s just about time for my weekly chicken dinner! I started off with a house salad and it was crispy and delicious. And here’s Miles serving up the star of the evening, the fried chicken dinner! 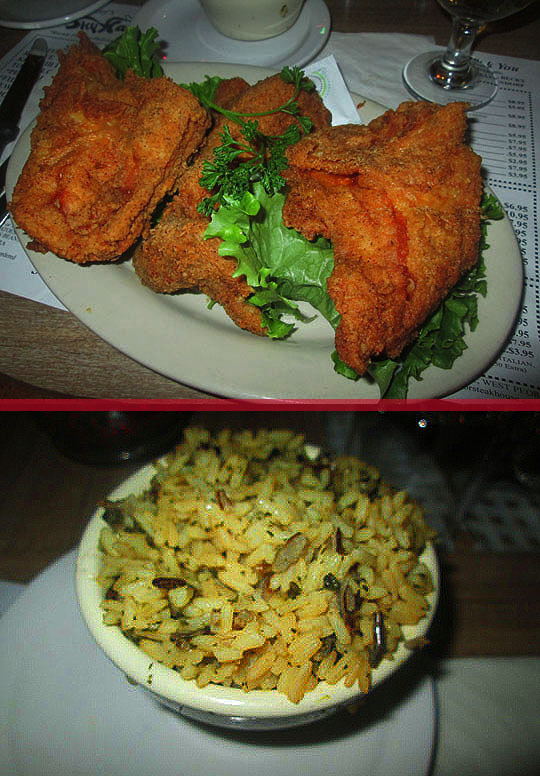 You get four pieces of fried chicken and I also got a side of the wild rice. It looks so tasty! Time to dig in! Wow, this chicken is so good. Daryl told me it’s a family recipe that started with his dad decades ago. The breading is light, slightly seasoned and crispy. Inside the chicken is plump, juicy and full of flavor. Sky Harbor is known for their steaks, but you should definitely stop in on a Wednesday for this fried chicken special! The meal was quickly reduced to a pile of bones! It was so tasty and satisfying! Longtime employee, Vickie T. joined Daryl and Mrs. Klu for a special sendoff that Daryl put together. They’re holding up the letters MBIWP, for Meanwhile, Back In WEST Peoria! Ha! Very nice and thanks to Daryl and everyone at Sky Harbor for a wonderful evening and a delicious fried chicken dinner! Four Dixie Chickens—Fried Chicken is just one of the many hidden gems here at Sky Harbor, a Peoria landmark restaurant! 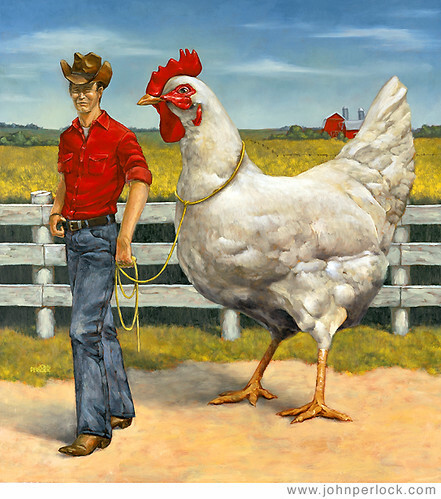 Related Posts: 13 Months of Chicken @ McDonald’s/Chik-fil-A, Bernardi’s Pub, Harold’s Chicken Shack, Lariat Steakhouse, Donnelly’s Irish Pub, Thanh Linh, Grandpa John’s Rib Shack, Birdie’s Bar & Grill, Jalapeno’s Mexican Grill, Midway Duck Inn, Ludy’s Kickapoo Creek Saloon, Jubilee Cafe, Rizzi’s and Agatucci’s.